I shal not konne answere. Hu sal ani man ðe mugen deren? A radical force is defined as anything that promotes change in language; conservative forces tend to preserve the existing status. Now it is obvious that the printing press, the reading habit, the advances of learning and science, and all forms of communication are favorable to the spread of ideas and stimulating to the growth of the vocabulary, while these same agencies, together with social consciousness . . . work actively toward the promotion and maintenance of a standard, especially in grammar and usage. . . . We shall accordingly be prepared to find that in modern times, changes in grammar have been relatively slight and changes in vocabulary extensive. This is just the reverse of what was true in the Middle English period. Then the changes in grammar were revolutionary, but, apart from the special effects of the Norman Conquest, those in vocabulary were not so great. Discourse markers are known for their frequent renewal. Particularly subject to sociolinguistic factors and fashion, they tend to be "caught" easily, spreading quickly among social networks. Choice of markers therefore can reflect age, social position, and so on. Discourse markers date quickly: many of the most frequent discourse markers and connectives of the 20th century arose only in the 18th or 19th century, including of course, after all, still, I say. ・ Lewis, Diana M. "Late Modern English: Pragmatics and Discourse" Chapter 56 of English Historical Linguistics: An International Handbook. 2 vols. Ed. Alexander Bergs and Laurel J. Brinton. Berlin: Mouton de Gruyter, 2012. 901--15. The dismissive manner in which professional linguists have typically ignored prescriptivist approaches has also contributed to the lack of dialogue and continued misinformation. Since prescriptivist approaches are widely held and have a demonstrable impact upon the use of English and its future, it is clearly incumbent upon professional linguists to accord its proponents due attention and to engage in public debate. ・ Horobin, Simon. How English Became English: A Short History of a Global Language. Oxford: OUP, 2016. The final decades of the eighteenth century provide the starting point for this volume --- a time when arguably less was happening to shape the structure of the English language than to shape attitudes towards it in a social climate that became increasingly prescriptive. . . . The most radical changes to English grammar had already taken place over the roughly one thousand years preceding the starting year of this volume. The immediately preceding period dealt with in Volume III (1476--1776) of this series, the Early Modern Period, has often been described as the formative period in the history of Modern Standard English. By the end of the seventeenth century what we might call the present-day 'core' grammar of Standard English was already firmly established. As pointed out by Denison in his chapter on syntax, relatively few categorical innovations or losses occurred. The syntactic changes during the period covered in this volume have been mainly statistical in nature, with certain construction types becoming more frequent. ・ Bauer, Laurie. Watching English Change: An Introduction to the Study of Linguistic Change in Standard Englishes in the Twentieth Century. Harlow: Longman, 1994. ・ Briscoe, Ted. "Evolutionary Perspectives on Diachronic Syntax." Diachronic Syntax: Models and Mechanisms. Ed. Susan Pintzuk, George Tsoulas, and Anthony Warner. Oxford: OUP, 2000. 75--105. ・ Britain, Dave. "Geolinguistics and Linguistic Diffusion." Sociolinguistics: International Handbook of the Science of Language and Society. Ed. U. Ammon et al. Berlin: Mouton de Gruyter, 2004. ・ Croft, William. Explaining Language Change: An Evolutionary Approach. Harlow: Pearson Education, 2000. ・ Denison, David. "Slow, Slow, Quick, Quick, Slow: The Dance of Language Change?" Woonderous Æ#nglissce: SELIM Studies in Medieval English Language. Ed. Ana Bringas López et al. Vigo: Universidade de Vigo (Servicio de Publicacións), 1999. 51--64. ・ Denison, David. "Log(ist)ic and Simplistic S-Curves." Motives for Language Change. Ed. Raymond Hickey. Cambridge: CUP, 2003. 54--70. ・ Ellegård, A. The Auxiliary Do. Stockholm: Almqvist and Wiksell, 1953. ・ Hooper, Joan. "Word Frequency in Lexical Diffusion and the Source of Morphophonological Change." Current Progress in Historical Linguistics. Ed. William M. Christie Jr. Amsterdam: North-Holland, 1976. 95--105. ・ Kroch, Anthony S. "Function and Grammar in the History of English: Periphrastic Do." Language Change and Variation. Ed. Ralph Fasold and Deborah Schiffrin. Current Issues in Linguistic Theory 52. John Benjamins, 1989. 132--72. ・ Labov, William. Principles of Linguistic Change: Internal Factors. Cambridge, Mass. : Blackwell, 1994. ・ Lass, Roger. Phonology. Cambridge: CUP, 1983. ・ Lass, Roger. Historical Linguistics and Language Change. Cambridge: CUP, 1997. ・ Lieberman, Erez, Jean-Baptiste Michel, Joe Jackson, Tina Tang, and Martin A. Nowak. "Quantifying the Evolutionary Dynamics of Language." Nature 449 (2007): 713--16. ・ Lightfoot, David W. Principles of Diachronic Syntax. Cambridge: CUP, 1979. ・ Matsuda, K. "Dissecting Analogical Leveling Quantitatively: The Case of the Innovative Potential Suffix in Tokyo Japanese." Language Variation and Change 5 (1993): 1--34. ・ Nevalainen, T. and H. Raumolin-Brunberg. Historical Sociolinguistics. Harlow: Longman, 2003. ・ Ogura, Mieko and William S-Y. Wang. "Evolution Theory and Lexical Diffusion." Advances in English Historical Linguistics. Ed. Jacek Fisiak and Marcin Krygier. Berlin: Mouton de Gruyter, 1998. 315--43. ・ Phillips, Betty S. "Word Frequency and the Actuation of Sound Change." Language 60 (1984): 320--42. ・ Phillips, Betty S. "Word Frequency and Lexical Diffusion in English Stress Shifts." Germanic Linguistics. Ed. Richard Hogg and Linda van Bergen. Amsterdam: John Benjamins, 1998. 223--32. ・ Sapir, Edward. Language: An Introduction to the Study of Speech. New York: Harcourt, Brace and Company, 1921. ・ Schuchardt, Hugo. Über die Lautgesetze: Gegen die Junggrammatiker. 1885. Trans. in Shuchardt, the Neogrammarians, and the Transformational Theory of Phonological Change. Ed. Theo Vennemann and Terence Wilbur. Frankfurt: Altenäum, 1972. 39--72. ・ Sherman, D. "Noun-Verb Stress Alternation: An Example of the Lexical Diffusion of Sound Change in English." Linguistics 159 (1975): 43--71. ・ Swadesh, Morris. "Lexico-Statistic Dating of Prehistoric Ethnic Contacts: With Special Reference to North American Indians and Eskimos." Proceedings of the American Philosophical Society 96 (1952): 452--63. ・ Wang, William S-Y. "Competing Changes as a Cause of Residue." Language 45 (1969): 9--25. Rpt. in Readings in Historical Phonology: Chapters in the Theory of Sound Change. Ed. Philip Baldi and Ronald N. Werth. Pennsylvania: Pennsylvania State UP, 1977. 236--57. Since we find it almost impossible to measure the rate of linguistic change with any accuracy, obviously we cannot flatly assert that it is constant; if, in fact, it is variable, then one can identify relatively slow change with stability, and relatively rapid change with transition. I think we can with confidence assert that the variation in rate cannot be very large. For this belief there is descriptive evidence. Currently we are obtaining dozens of reports of language all over the world, based on direct observation. If there were any really sharp dichotomy between 'stability' and 'transition', then our field reports would reveal the fact: they would fall into two fairly distinct types. Such is not the case, so that contrapositively the assumption is shown to be false. Can we speak, with any precision at all, about the rate of linguistic change? 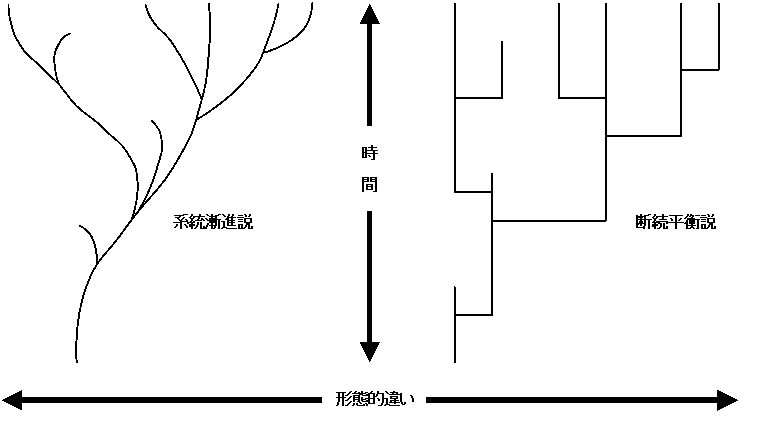 I think that precision and significance of judgments or measurements in this connection are related as inverse functions. We can be precise by being superficial, say in measuring the rate of replacement in basic vocabulary; but when we turn to deeper aspects of language design, the most we can at present hope for is to attain some rough 'feel' for rate of change.